This week, some of gaming’s biggest franchise names are in some questionable places. We’ve got the trials and tribulations of Star Wars games, the questionable sexual politics of Assassin’s Creed, and some weird advertising for Kingdom Hearts. Are you ready? I know I am. I sense a disturbance in the Force—something has gone wrong with the Star Wars license at Electronic Arts. According to a report from Kotaku, EA has canceled an open-world Star Wars game in progress at EA Vancouver. In fact, you may remember mention of the game last year, when EA shut down Visceral Games, which was also developing a now-canceled Star Wars project; EA Vancouver took over the project. The game was canceled, reportedly, due to EA wanting to move forward with a smaller project that would come out sooner. But the results of EA’s Star Wars licensing is by now concerning, with two middling Battlefront games, one of which nearly singlehandedly started a worldwide controversy over how bad loot boxes are, and at least two known canceled projects. (Respawn Entertainment is currently working on Star Wars: Jedi Fallen Order for release later this year.) EA has a deal to be the sole producer of Star Wars console games. One has to wonder if Disney and Lucasfilm are regretting it. One of the big selling points of Odyssey, the latest Assassin’s Creed title, is that the protagonist—whether lady Kassandra or dude Alexios—could romance a wide variety of characters without being restricted to one gender. It was lauded, upon release, for actual solid LGBT representation—simply letting players romance whomever they wanted. It’s a level of goodwill that Ubisoft seemed intent to squander almost immediately, with new DLC that forces your player to settle down and get down to some good ol’ heterosexual procreation. And the achievement for completing this DLC? It’s called “Growing Up,” which, uh, implies that all that gayness was just a phase? I guess? Gay ’til Assassin Graduation? Ubisoft apologized roughly a day after the DLC dropped, which is nice—though the apology isn’t ideal. 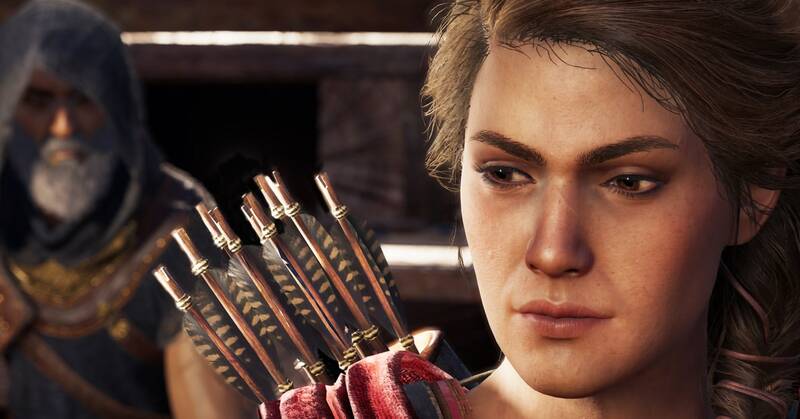 “Understanding how attached you feel to your Kassandra and your Alexios is humbling and knowing we let you down is not something we take lightly,” said Jonathan Dumont, the game’s creative director. That’s great, but it misses the point slightly. The anger isn’t necessarily over losing control of a character’s arc; it’s about having a gay-/bi-friendly space made into one that is, well, not. No one appreciates being told they’re welcome, only to then be shoved into a closet. Kingdom Hearts 3 comes out in just a week and a half or so, and Square Enix’s marketing is in full force. Now, in collaboration with Sony, PlayStation VR will offer an intimate concert experience featuring Utada Hikaru, the Japanese pop star who’s been writing songs for the games since 2001. According to Variety, the experience will be available starting January 18 (that’s today, reader! ), and will feature Hikaru singing songs directly to you, the viewer. Maybe I’m just not as up on VR as some of my colleagues, but this seems really odd as an advertising move. Yes, an intimate concert experience, just me and … some strange woman … in my house. Singing about videogames. I’m confused. They’re great songs, though! So there’s that. I’m not sure why, but I’ve been thinking about this game a lot lately. Taking the survival horror series to first-person, this game also took it back to its roots of tense puzzle solving, terrified combat, and a lot of anxiously creeping around corridors. Trapped in a rotting Louisiana manor, it’s like a zombie movie was given a rewrite by Faulkner, then had all the deep metaphorical parts replaced by evil ladies with bees shooting out of their chests. It’s one of the most unsettling and enthralling games I’ve played in ages, and I’m itching to go back to it again. If you missed out on it in 2017, you gotta check it out.